If someone were to inquire of you whether or not he will possess substance which he hopes to have, you will learn from him what sort of substance it is which he intends to have or acquire. 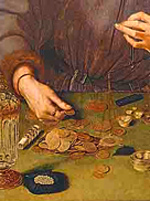 The ancient chestnut of wealth – its creation, sources, likelihood, amount, sustainability, and the purposes to which it is directed – is the subject of astrological endeavour in this Intensive. Ranging widely through heritage sources, from the 1st century to the 17th century, it can be immediately recognised that this arena of life experience has always been of perennial interest to astrologers and their clients. Does the chart promise gain? Can it happen? Will it endure? How may it be encountered or accomplished? Astrological techniques will be reviewed by examining a broad selection of example charts. Methods to determine personal significators in such matters, beyond relying on more general indicators, are necessary to clarify. Key principles will be highlighted as to the condition and fitness of these relevant significators to act on behalf of the native or not. The topic of wealth goes beyond a simple focus on money, and besides taking different forms, it can be acquired through many means. It could be generated though the self or others, the result of hard work or easy luck. It can also manifest by apparently negative means such as contest, conflict and sorrow. The sources range from property, investments, commerce, insurance, income, legacies and lotteries. Certain individuals grow their wealth, while others dissipate it to the point of dependency, debt, and bankruptcy. There are periods of plenty and times of destitution, even in a single life. For some characters riches are the very reason for living, while for others they mean little. Every person will have a unique template for acquisition of resources. Context is always of major importance and can completely influence outcomes. The capacity to materially have and hold also depends upon vision, intention, will and values, which an astrologer needs to bear in mind along with technical chart information. May I count him rich who is wise, and as for gold, may I possess so much of it as only a temperate man might bear and carry. This intensive (AP16) was first presented on the Gold Coast(GCAS) in October 2010.